Check the BotDetect Laravel 5.0 Captcha Quickstart for key integration steps. In order to use the Laravel CAPTCHA Package, we have declared Captcha configuration which will be used when showing Captcha image in example view. Detailed description of this approach is available in a BotDetect Laravel 5.0 integration guide. 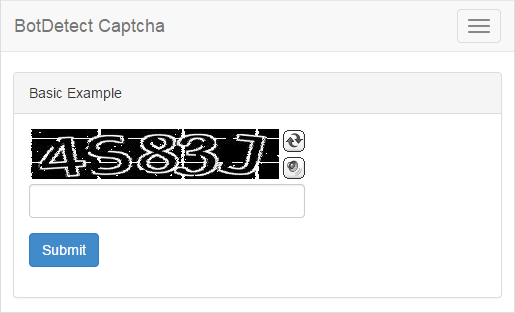 The example Controller follows the basic instructions from the BotDetect Laravel 5.0 Captcha integration guide.